My wardrobe has always consisted of bright colors, crazy prints and nods to the 80's. Since moving to Colorado my closet has become much more subdued. 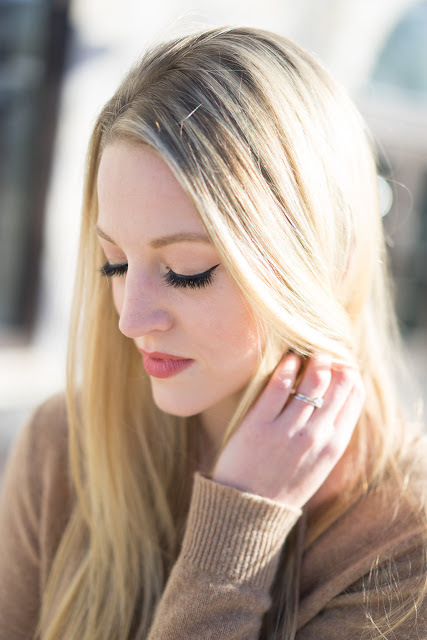 Much like everyone, I'm obsessed with camel and love pairing it with a crisp white. This was actually my wedding rehearsal outfit. I wanted something chic and simple. The clean color palette is refreshing in such cold weather in Colorado. I paired this Anne Taylor Loft cashmere sweater with a pair of white trousers from Nordstrom. By adding a pair of pointed heels it appears to lengthen your legs. 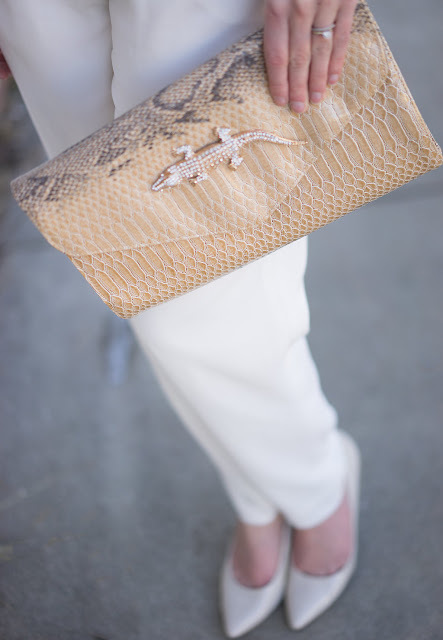 With a simple look, I added a glitzy "alligator" clutch to make it fun and glamorous! I attended a few company events here and I must say that I was impressed every time. The place was aesthetically pleasing with very good decorations and seats. The Los Angeles venues had a great layout overall, and was at a comfortable temperature.